The 200,000sf building was developed as a technical and information facility for Met Life Insurance Company. The site and landscape were designed to support the function of the building with parking, roads, fire lanes and loading areas, and provide exterior passive spaces for employees. The site storm drainage was collected and controlled through a series of detention basins. 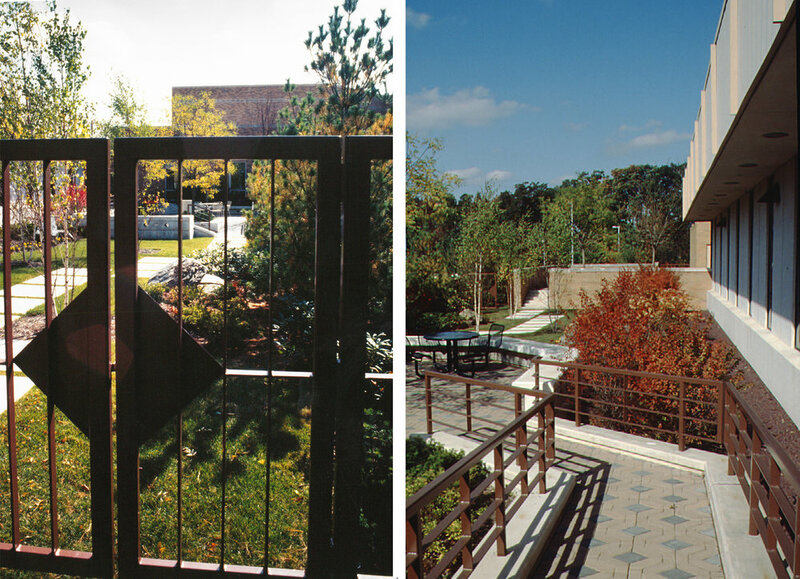 The landscape was developed to address functional requirements (such as screening) and environmental requirements (such tree canopy in parking to reduce solar gain), and provide seasonal visual interest.